Two missiles were reportedly fired at a Russian plane with at least 159 passengers on board flying over Syrian territory. Russian officials admit the jet faced danger, but are not talking of a targeted attack. The plane that was allegedly targeted belonged to Nordwind Airlines – a Russian charter air carrier – and was identified as an Airbus A320. On April 29 it was en route to the city of Kazan, in Russia’s republic of Tatarstan, from Egypt’s resort city of Sharm el-Sheikh. On Tuesday, Interfax’s source informed that the aircraft was attacked when it was flying at an altitude of 9,800 meters. Meanwhile, Russia’s federal air traffic agency Rosaviatsia on Monday issued a directive to all Russian airlines prohibiting routes through the Syrian airspace. Previously in February Rosaviatsia issued a warning to all Russian airlines to avoid routes over conflict zones. Russian experts believe that, so far, there are no grounds to claim that the aircraft became a target of a missile attack, experts say. 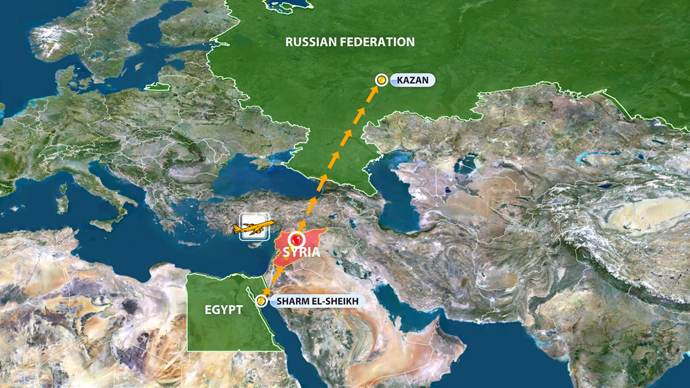 Russia’s major airlines – Aeroflot, Transaero, S7, Tatarstan – have avoided Syrian airspace for months due to the situation on the ground, despite additional time and fuel expended to avoid Syrian territory. Russian experts have already voiced their doubts that a passenger plane can actually perform the kind of maneuvers that would allow it to avoid a missile attack. “A passenger plane crew simply couldn’t see what’s behind. And if something is approaching the plane from the opposite direction – the speed doubles, so there is no time to do anything,” he added. PAKISTANI police say they have defused a car bomb near the house of former military ruler Pervez Musharraf. Islamabad police chief Bani Amin says the explosive-laden vehicle was found parked about 150 metres from the main gate of Musharraf’s house on the capital’s outskirts on Tuesday. The former military strongman is being held under house arrest in connection with a case involving his decision to fire senior judges while in power. Amin says police are investigating how the vehicle was able to approach Musharraf’s house. The Taliban have threatened to kill Musharraf, and suspected militants tried to assassinate him several times when he was in power from 1999 to 2008. Musharraf returned last month after four years in self-imposed exile to make a political comeback but has suffered multiple setbacks. ISLAMABAD: The Federal Investigation Agency (FIA) has arrested former president, General (retd) Pervez Musharraf in relation to the Benazir Bhutto murder case. The formal proceedings for the arrest were completed by the FIA Deputy Director at Musharraf’s farmhouse in Chak Shahzad which has been declared sub-jail. During the interrogation, the former president was asked why Benazir Bhutto was not provided security upon her return to Pakistan, to which Musharraf replied that she was provided complete security. Musharraf also refused to accept the allegations against him and said Benazir Bhutto became the target of terrorists. The FIA will file a petition seeking the physical remand of Musharraf in the Anti Terrorism court on Friday. Earlier on Thursday, the ATC had allowed the FIA to include Pervez Musharraf in the investigation of Benazir Bhutto murder case. Musharraf is accused of involvement in a conspiracy to murder Benazir Bhutto, who died in a gun and suicide attack in December 2007. It is one of the three cases he is fighting in the courts since returning home last month after four years in self-imposed exile. 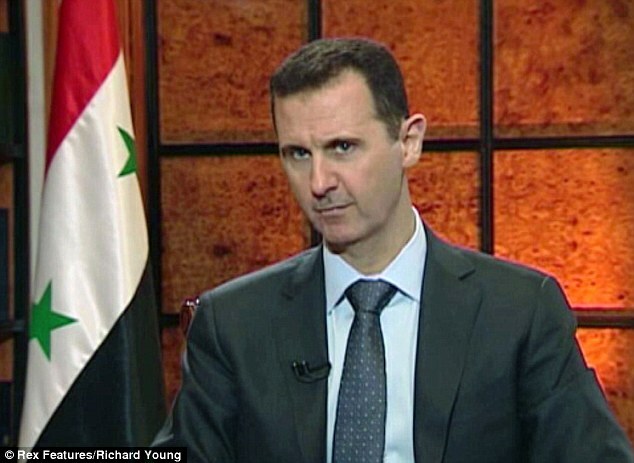 Iran’s Press TV reported yesterday that both the US and the Saudis began funding Syrian rebels eight months ago. After funding Libyan Islamist rebels to overthrow Qaddafi, the Saudis and their fellow Gulf Cooperation Council (GCC) despots have moved on in an effort to bring down Syria’s Assad government on their road to Tehran. Both the Muslim Brotherhood House of Saud and Cabalist Israel share a long history with their Freemason brethren at British intelligence dating back to the Egyptian Mystery Schools. The inbred Illuminati banker oligarchy runs all three secret societies and controls the global economy via central bank monopoly and hegemony over oil, arms and drug trades. This Rothschild-led cabal of trillionaire Satanists manufacture fanatics within the Jewish, Christian and Muslim faiths to divide the people and maximize war profits. Since Chevron discovered oil in Saudi Arabia in 1938, the House of Saud monarchy has increasingly served as paymaster for Rothschild covert military adventures. It’s part of an oil for arms quid pro quo. The Saudis sent over $3.8 billion to the CIA-trained Afghan mujahadeen. Their emissary to the Americans was Osama bin Laden. They gave $35 million to the Nicaraguan contras. Northrup/Lockheed bribe recipient Adnan Khashoggi played a key role in supplying Richard Secord’s Enterprise with House of Saud funding. But while contra and mujahadeen efforts got the most newsprint, the House of Saud was busy bankrolling counterinsurgency around the world. In Africa the Saudis provided support decades ago for the National Front for Salvation (NFS), which operated from bases in Chad in its attempts to overthrow Libyan President Mohamar Qaddafi. Chad has long been an important country in Exxon Mobil’s North Africa oil production schemes. In 1990- following a successful Libyan-backed counter-coup against the Chad government which was sponsoring NFS- the US evacuated 350 NFS leaders with Saudi financing. The US restored $5 million in aid to the dictatorial Kenyan government of Daniel Arap Moi so Kenya would house the NFS leaders, whom other African governments refused to take in. Arap Moi later aided CIA covert operations in Somalia, which the Saudis financed. The Saudis bankrolled Jonas Savimbi’s UNITA rebels in Angola in their brutal effort to topple the socialist government of MPLA President Jose dos Santos. Upon CIA request, the Saudis sent millions to Morocco to pay for that country’s training of UNITA. Angola has huge oil reserves. In 1985 Chevron Texaco accounted for 75% of Angola’s oil revenue. In 1990 29% of Exxon Mobil’s US-bound crude came from Angola. An annual report of De Beers- the Oppenheimer-family tentacle which monopolizes the world diamond trade- bragged of buying up UNITA diamonds. Savimbi was welcomed at the White House by President Reagan. The Saudis funded RENAMO in their CIA-backed Pink Plan terror campaign against the nationalist government of Mozambique. In the mid-1980s both the Saudis and Oman sent weapons to RENAMO through the Comoros Islands on behalf of Israel and apartheid South Africa. Two Comoros Presidents- Ali Soilah and Ahmed Abdullah Abderemane- were assassinated by mercenaries who were protecting the arms traffic. In the Democratic Republic of Congo (DRC) – formerly Zaire- Illuminati puppet Mobutu Sese-Seiko ruled with an iron fist for nearly four decades. He served as City of London guard dog of Zaire’s rich cobalt, uranium and molybdenum reserves- all of which are vital to the US nuclear weapons program. Zaire is also rich in copper, chromium, zinc, cadmium, tin, gold and platinum. While Mobutu amassed over $5 billion in Swiss, Belgian and French bank accounts, Zaire’s people lived in squalor. Mobutu was installed in the early 1960’s after CIA agent Frank Carlucci- later Reagan and Bush Defense Secretary and now chairman of bin Laden family investment advisor Carlyle Group- worked with gangsters to assassinate the first prime minister of the Congo Patrice Lumumba. Under Mobutu’s reign the US had military bases at Kitona and Kamina- from where the CIA prosecuted covert wars against Angola, Mozambique and Namibia with House of Saud funding. Mobutu’s DSP palace guard was trained by the Israeli Mossad. In the late 1970’s the Saudis paid for imported Moroccan troops to save Mobutu from Katanganese secessionists led by Laurant Kabila. Mobutu was deposed in 1998 by forces loyal to Kabila- a friend of Fidel Castro. The Saudis began financing military forays into the Congo by the governments of Rwanda, Uganda and Burundi. This destabilization of the Lake’s region led to the Rwandan genocide. Kabila was assassinated in 2000, after he refused to play Illuminati ball. Over four million people have died in the DRC over the past decade. Lumumba and Kabila weren’t the first African nationalists targeted for elimination by the inbreds. During the 1950′s and 1960′s the CIA and French intelligence assassinated Moroccan nationalist Mehdi Ben Barka- whose Union Nationale de Forces Populaire threatened US puppet monarch King Hassan II. Giunea’s leftist President Sekou Toure and Tunisian socialist Habib Bourgiba were also assassinated by Western intelligence agencies. In 1993 Sudanese President Omar al-Bashir accused the Saudis of providing arms to Johnny Garung’s Sudanese People’s Liberation Army (SPLA). The southern part of Sudan- which the SPLA is trying to partition- is rich in oil. Mossad has supplied the SPLA for years through Kenya. In 1996 the Clinton Administration announced military aid to Ethiopia, Eritrea and Uganda. The aid was funneled into an SPLA offensive on Khartoum. The crisis in Darfur is a direct result of Saudi/Israeli/US meddling on behalf of Big Oil. Algerian President Chadli Benjladid accused the Saudis of bankrolling the barbarous Armed Islamic Group (AIG) who- after Algeria protested US ignition of the Gulf War- launched a reign of terror targeted at the Algerian people. Benjladid was forced to resign. This was followed by hasty passage of the Hydrocarbon Law- which opened the historically socialist country’s oilfields to the Four Horsemen. The CIA then helped AIG terrorists travel to Bosnia, where they helped destroy socialist Yugoslavia. Algeria has a long history of defying Big Oil. President Houari Boumedienne- one of the great Arab socialist leaders of all time- initiated calls for a more just international economic order in fiery speeches at the UN. He encouraged producer cartels as a means to Third World emancipation from the London bankers. Independent Italian oilman Enrico Mattei began negotiating with Algeria and other nationalistic OPEC states who wanted to sell their oil internationally without having to deal with the Four Horsemen. In 1962 Mattei died in a mysterious plane crash. Former French intelligence agent Thyraud de Vosjoli says his agency was involved. William McHale of Time magazine, who covered Mattei’s attempt to break the Big Oil cartel, also died under strange circumstances. In 1975 the US sent $138 million in military aid through Saudi Arabia to Yemen, in hopes of heading off a Marxist revolution there. The effort failed and the country split into North and South Yemen for two decades before merging again in the 1990’s. US/Saudi aid to both Yemen and Oman continues to this day in an effort to stamp out nationalist movements in those countries, which border the Kingdom and its vast Four Horsemen-controlled oilfields. During the US-led effort to partition Bosnia from Yugoslavia, Saudi King Faud led calls for an end to the UN arms embargo. When the embargo was lifted, the Saudis funded Bosnian Muslim arms purchases. Later the Saudis bankrolled the heroin-kingpin Kosovo Liberation Army, as well as NLA Albanian separatists attacking the nationalist government of Macedonia. The Saudis even funded CIA covert operations in Italy, where they plunked down $10 million in 1985 to help destroy the Communist Party. Recently Saudi Prince Bandar donated $1 million to the Bush Sr. Presidential Library and another $1 million to a Barbara Bush literacy campaign. On the evening of September, 11, 2001- Prince Bandar smoked cigars in the White House with President Bush, while members of the bin Laden family were evacuated from the US in airspace shut down to all other traffic. Were the Saudis simply playing their historic paymaster role in the prosecution of 911? The largest shareholder in News Corporation – parent of both the banker mouthpiece Wall Street Journal and the Fox News psyop – is Rupert Murdoch. The 2nd largest owner is Saudi Prince Alaweed bin Talal. Is Fox News a covert Rothschild mind control operation against the American people? The Gulf: Scramble for Security. Raj Choudry. Sreedhar Press. New Dehli. Dude, Where’s My Country. Michael Moore. Warner Books. New York. 2003. DUBAI: Of all Qatar’s policy innovations since a coup brought the emir, Sheik Hamad bin Khalifa al-Thani, to power in 1995, its overt alliance with Islamist movements linked to Egypt’s Muslim Brotherhood has perhaps been the most controversial so far. There is deep unease in Gulf countries such as Saudi Arabia and the United Arab Emirates over the ascendancy of the Brotherhood, a well-established political outfit that seeks power through democracy, following the uprising that brought down Hosni Mubarak two years ago. And since last November, when President Mohammad Mursi adopted sweeping powers and then rushed the completion of an Islamist-friendly constitution, Egypt has seen civil strife between various Islamist and non-Islamic factions that is grinding the economy into the Nile mud as tourists stay away, industry slows down and the government cannot pay its bills. So it has become rather fashionable in many circles to predict the imminent demise of Qatar’s alliance with the Brotherhood. The question of Qatar – whose natural gas wealth has transformed the small Gulf state’s fortunes – has become a favorite parlor game from Cairo to Dubai. Influenced by this pervasive anti-Brotherhood atmosphere in their host countries, diplomats, analysts, policymakers and journalists wonder if Qatar as a state will be forced to change tack, or whether there could be backlash against certain members of the ruling elite themselves for the insolence of their dissonant tone. Inside Qatar itself, however, there is little sense that Islamists are about to be knocked off their pedestal. A notable presence in university departments, think tanks and other non-governmental organizations, they also form a constant stream of visitors for seminars and forums. Although there is no official Brotherhood branch in Qatar, leading Brotherhood-linked preacher Yousef al-Qaradawi has been in Doha for decades and is a key reference for many Qataris. “Qaradawi is not new in Qatar and the Brotherhood is not new in Qatar. When the modern state was established, the Education Ministry and other institutions were set up by many Muslim Brotherhood people,” said Jassim Sultan, a Qatari who runs the Islamist, pro-Brotherhood website 4nahda.com. Like others, he believes the close circle around the emir responsible for policy is driven by a strategic vision of how to secure independence from Saudi Arabia rather than ideological affinity for the Islamists per se. Salah Elzein, a Sudanese who heads the Al-Jazeera Center for Studies, agreed and said Qatar had played a key role in making the Brotherhood acceptable to Western powers. Qatari rulers have traditionally promoted Saudi Salafism. The founder of the modern state, Sheikh Jassim, who died in 1913, was a follower of the puritanical Wahhabi school of Saudi Arabia. The presence of Qaradawi and Brotherhood cadres from Egypt since the 1960s was seen as a moderating force, and liberals have gained in recent years as the leadership plots to turn Doha into a world city that will host sports fans from around the world for the 2022 World Cup. A large mosque in the name of Mohammad Ibn Abdul-Wahhab, the Salafist ideologue who helped found the modern Saudi state, was opened in 2011 in Doha, in an apparent effort to mollify Salafists over liberal and Brotherhood gains. “The Salafi hard-liners are not happy about the opening [to other groups], but they are quite free here, there are no restrictions against them,” said Mohammad Alahmari, a Saudi who runs a Doha think tank. There is unease over the Brotherhood policy among liberals. “The Muslim Brotherhood is running the show. They have a monopoly and you get attacked if you attack the Brotherhood. It’s new and it became more clear that Al-Jazeera is backing them in the last five years,” said Najeeb al-Nuaimi, a former justice minister. Tensions with the UAE have led to some Qataris being barred from entry at airports and an official from Qatar Petroleum has been held in detention this year for undeclared reasons (SEE: As family frets, Qatari doctor’s detention in Dubai stretches on). Dissent among the public has focused more on the breakneck growth of Doha and plans to expand the country’s population to some 5 million people, although Qatari nationals form less than 300,000 of a 1.9 million population at present. Little more than a sleepy backwater in the 1990s, the city has been transformed beyond all recognition. The sleepy downtown area of the old Souq Waqef faces off against the otherworldly skyscrapers of the West Bay district, which, arising out of the sea on reclaimed land, give the impression of floating on air. “There is no precise information about reasons and justifications for controversial public policies. This means that Qataris are always surprised by policy decisions, as if they were a private affair that citizens have no right to know about or take part in,” wrote academic Ali al-Kuwari in a book published last year called “The People Want Reform In Qatar Too,” the result of a year of monthly salons among intellectuals organized by Kuwari. And the jailing of poet Mohammad Ibn al-Dhaib al-Ajami after a poem that attacked Arab rulers in the wake of the uprisings in 2011 revealed a certain regime jitteriness. Posted in How Do We Build the Resistance?, idiot nation, image of the beast, monsters, Organizing resistance, OVERTHROW THE ROYALS, scum of the Earth, Shut Down the Source, simulated war, strategic failure, The Most Moral Army In the World?, there are no sunglasses, UnIslamic "Islamists"
Firing a ‘warning shot’ against Syria is the only military option being considered by the Government after defence chiefs warned the UK could get sucked into a fresh conflict. Senior officials say plans have been drawn up for a precision air strike or missile attack to force dictator Bashar al-Assad to the negotiating table. But the Chief of the Defence Staff, General Sir David Richards, has told David Cameron that imposing a no-fly zone over Syria or creating a safe haven for humanitarian workers would court disaster. The Prime Minister condemned an apparent nerve gas attack on civilians in Syria last week as a ‘war crime’ and warned that the Assad regime had crossed a ‘red line’. Senior government sources say Mr Cameron has been persuaded that ‘only a political solution’ can resolve the conflict. But he is prepared to contemplate limited military action to kickstart a political effort to end the war. He and the Obama administration hope the discovery of chemical weapons will convince Russia to pressure Assad to discuss a transition of power. Insiders say that if that does not work some limited military action is possible. General Richards and his fellow chiefs warned that both would be very dangerous, since the Syrian military has high-quality air defences. (Reuters) – Tens of millions of U.S. dollars in cash were delivered by the CIA in suitcases, backpacks and plastic shopping bags to the office of Afghanistan President Hamid Karzai for more than a decade, according to the New York Times, citing current and former advisers to the Afghan leader.